The 2017 Basketball Varsity series will undoubtedly go down as one of the most epic battles between the two universities. The Cambridge University Sports Centre hosted a crowd of over 200 people on Sunday 26th February, whilst the online live stream, with commentary by David Delgado and Biko JJ Zino. has gathered over 1.8k views on the CU-TV Facebook page. 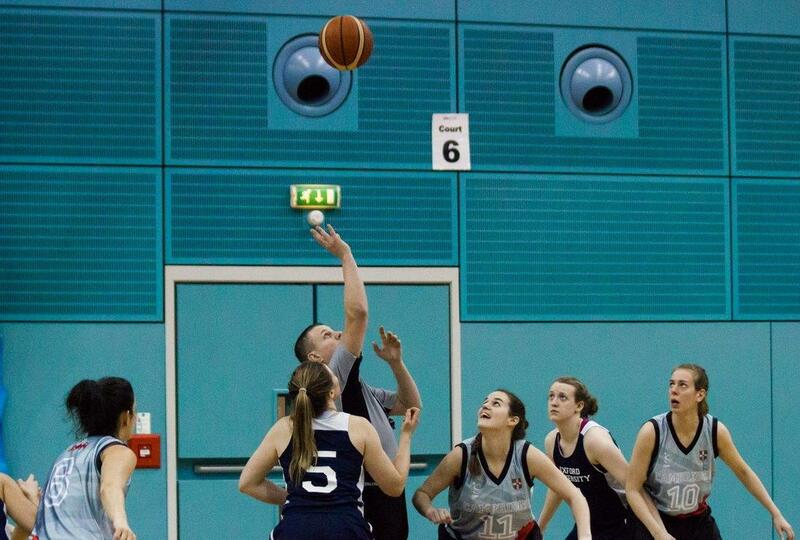 The Cambridge Women's Basketball Club is also proud to announce that their collaboration with Anthony Nolan in honour of late Blues player and Club President Sophie Miller was hugely successful, with £300 raised for the charity on the day. Current Club President Súil Collins would like to thank everyone who got involved and helped support the cause. 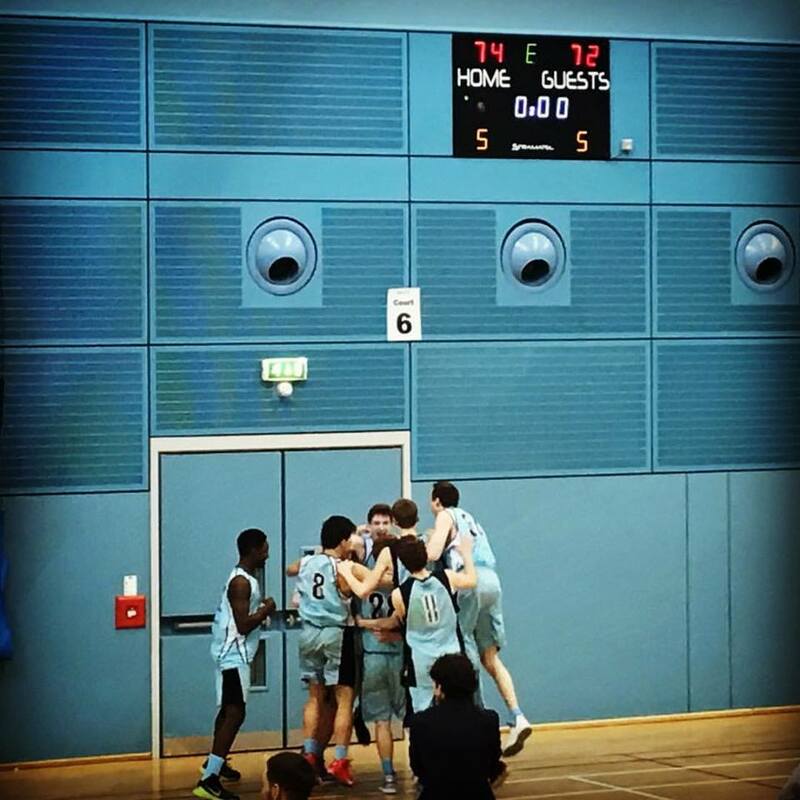 The day consisted in 4 incredibly exciting games which began in a positive note for the hosts, as the Lions (Men's II team) finally established their superiority over their Oxford counter parts with a 63-56 victory. Having lost against Oxford during the regular season, the Cambridge Lions were determined to fight hard and prove they deserved the coveted Varsity tittle. The 9:45am start did not seem to affect either team, as they began exchanging buckets in the first quarter. With home court advantage, the Lions showed they were ready for the challenge, retaliating every Oxford basket with one of their own. Sergio Pascual Diaz' outstanding performance was key in keeping the hosts on par with their rivals. Although half time came with a marginal 2 point lead for Cambridge, Mojowo Odiase and Jordan Massiah's defence in the third quarter neutralised the rival offence, who simply could not find a way to reach the basket. However, the Lions' energy seemed to drop at the start of the fourth quarter and Oxford managed to creep back into the game. The Cambridge response wasn't long to come. Co-Captain Kevin Chang took charge, leading the team in a number of successful fast breaks which enabled the hosts to extend their advantage once again, and this time, maintain it until the final whistle. The Cambridge Panthers (Women's II) kept the ball rolling with a second win in an incredibly tense match which finally closed with a 2 point lead for the hosts at 28-26. The Panthers had a very strong start of the game, as they managed to keep their rivals to a mere 2 points in the first quarter. However, Oxford fought back in the second period with an 11-6 partial, entering half time just 2 points behind. Despite Cambridge's obvious superiority in the post with an inspired Nina Toudal Jessen, Oxford managed to stay within only 3 points at the end of the 3 quarter thanks to some excellent shooting. The visitors momentum carried on through the final period as the Panthers struggled to find the basket. With 15 seconds left on the clock and the scores tied at 26, Cambridge's Annie Lyons scored a final bucket which gave the Panthers the win. The nail-biting game kept the fans on edge until the very end and the final whistle was met with huge relief as the Panthers added another well-deserved win to the Cambridge side. 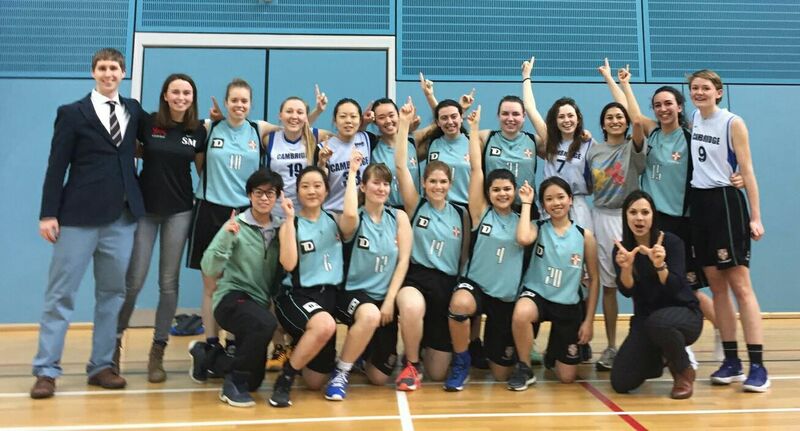 After a hard fought battle, the Cambridge Women's Blues were not able to overcome their Oxford counterparts in the overtime of this incredible Varsity encounter, loosing 52-57. Both teams had a strong start, closing the quarter with a 12-12 tie. In the second quarter, the Dark Blues managed to get a 6 point lead thanks to a high field-shot accuracy. Unaffected, Cambridge was able to stay in the game, showing great poise and character, staying focused and fighting for every ball. Excellent defence from everyone on the floor slowed down the Oxford offence in the third quarter and perfectly executed fast-breaks gave the Light Blues a 14-11 partial, closing the period 3 points down. However, Oxford came back strong in the final 10 minutes and the hosts were left to play catch-up once again. Léonie de Jonge's performance in this quarter was truly outstanding and she managed to equalise the score at 46 in the last few seconds of regular time, taking the game to a 5 minute overtime. Despite a solid start that kept the scores even, tiredness on the Cambridge side began to take hold and long range shots fell agonisingly short. The hosts inability to finish off their offensive attempts were counter-balanced by strong defences which neutralised the opponents for most of the 5 minutes. However, this was not enough and the points-drought dearly cost the Light Blues. With a few seconds to go and 5 points down, a desperate attempt to score a three pointer was made, but to no avail. Oxford took their only win of the day in a very hard fought match which had the crowd on the edge of their seats until the very end. Although disappointed by the loss, Cambridge coach Amalio Fernandez Pacheco was very proud of his players, who left everything on the court and refused to give up the game at any point. After 3 highly stressful games, the Men's Blues did not give the crowd a rest. It took two overtimes for Cambridge to clinch the victory with the final result at 74-72. The first quarter was a constant back and forth, and finished with a 13-13 tie. The second quarter then saw the hosts get ahead with a 16-12 partial. Jack Clearman's excellent three point shooting gave Cambridge the edge in this period, but Oxford played smart, taking advantage of Cambridge's foul trouble and capitalising on free-throws. Entering the second half just 4 points down, Oxford won the third quarter 13-17. Their post players seemed to dominate on offensive rebounds which gave them second and even third chance shots underneath the rim. 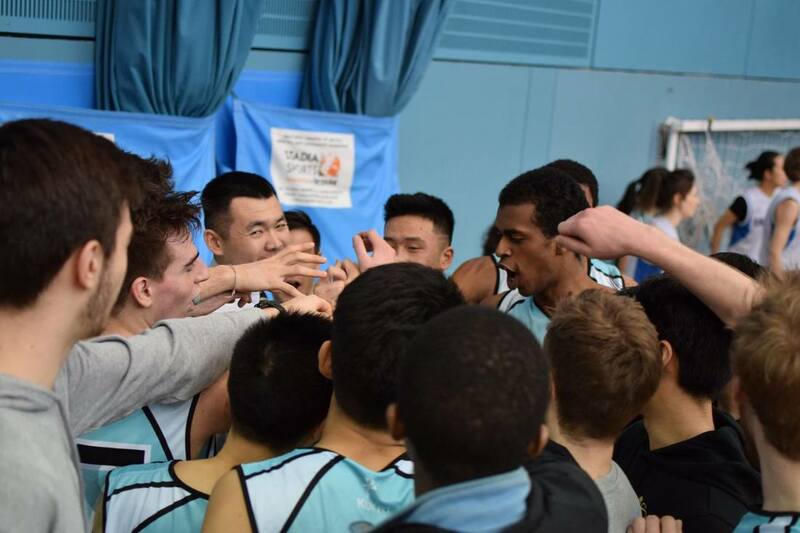 Nonetheless, Cambridge continued to play their game, moving the ball well so that every player on the court managed to add points to the Light Blue score. What was supposed to be the final quarter began with a 10-2 partial for the Dark Blues, which gave them a 7 point lead with 6 minutes to go. The Cambridge men responded with an 8-0 partial and claimed the lead on the scoreboard once again. However, Oxford was not done, and with less than a minute left on the clock, they managed to score 2 baskets, obtaining a 3 point lead. 8 seconds before the end of regular time, Cambridge coach Tim Weil gathered his players to prepare one final play. Luka Skorić​ in-bounds the ball, fakes, gets it back, and scores a 3 pointer. Tie at 63 and the game goes into overtime. Knowing that the game could go either way, both teams continued to fight every ball. Oxford got a slight advantage as Cambridge players began to foul out, and the guests managed to get 2 points ahead in the final minute. However, Cambridge's Jim Miller saved the game making 2 vital free-throws. So, the second overtime begins. Again, Oxford take the lead, but they are quickly met by an unstoppable Skorić who has the Cambridge crowd on their feet. With both teams in foul trouble, every free-throw becomes crucial. However, the nerves and the tiredness start to take hold and both teams fail to capitalise on these golden opportunities. With the scores tied at 72, it is not until the final minute that the game is decided. Jim Miller runs down the Cambridge possession clock and scores a buzzer beating 2 point jump shot giving the Light Blues a much deserved win. Men's Blues top scorers: Luka Skorić (28 points), Jack Clearman (13 points), Jostein Hauge (11 points), Jim Miller (10 points), Patrick Lundgren (7 points).